A RARE 1st DAY OF THE SOMME "Beaumont Hamel" MILITARY MEDAL, Q.S.A. & K.S.A. 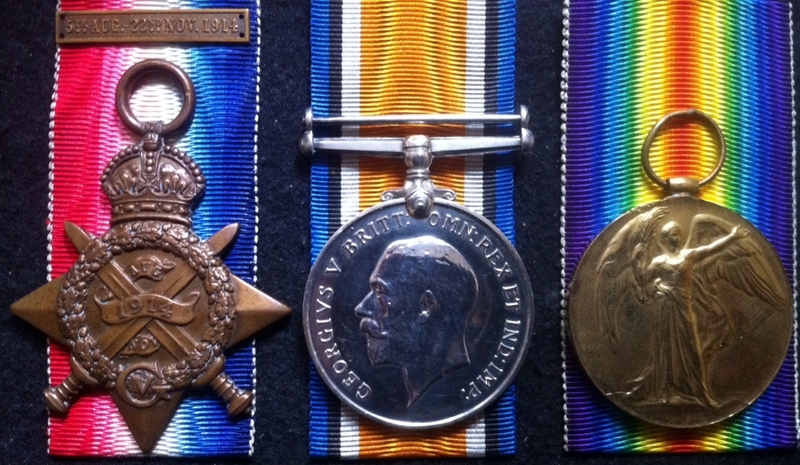 & 1915 Trio. 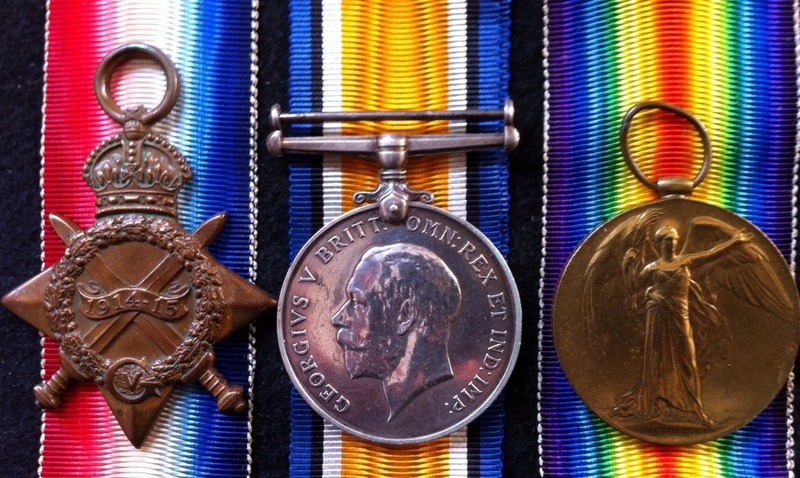 Sgt J. Hogg 1st KING'S OWN SCOTTISH BORDERERS & 9th Yorks & Lancs.KILLED-IN-ACTION. 2.10.16. Le Sars.! 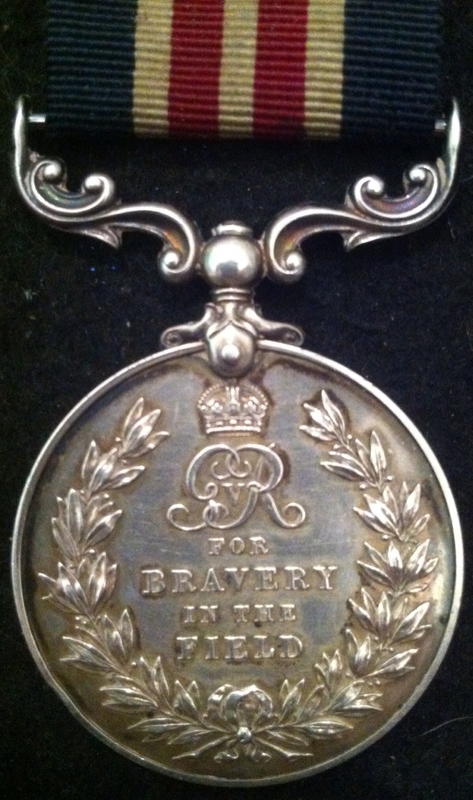 A RARE 1st DAY OF THE SOMME "Beaumont Hamel" MILITARY MEDAL, Q.S.A. & K.S.A. & 1915 Trio. 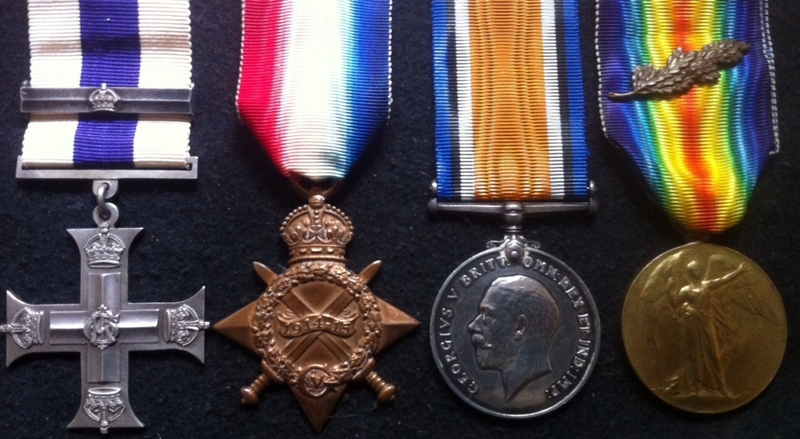 Sgt J. Hogg 1st KING'S OWN SCOTTISH BORDERERS & 9th Y&L REGt.KILLED-IN-ACTION. 2.10.16. Le Sars.! 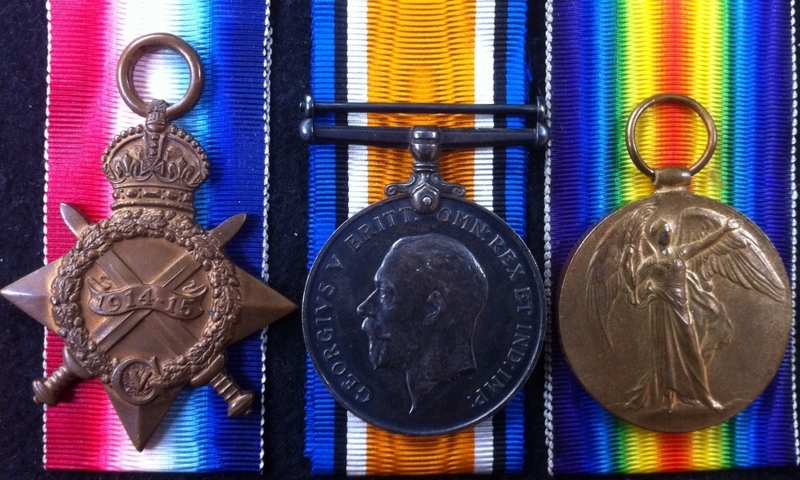 A RARE & IMPORTANT "1st DAY OF THE SOMME" MILITARY MEDAL & 1914-15 Trio, with QSA & RARE EDVII 2/ N.STAFFS "VOLs"L.S.G.C. & 6/N, STAFFS T.F.E.M. Pte-WO2 850. W.A. JOHNSON. 1/6th N.Staffs T.F. 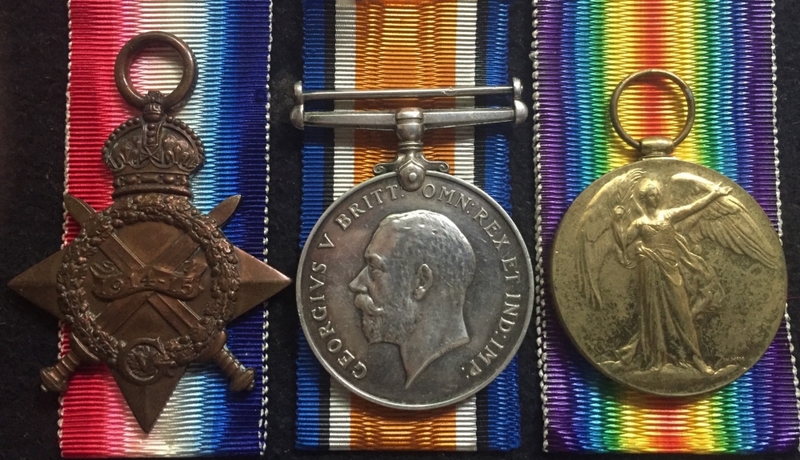 A RARE & IMPORTANT "1st DAY OF THE SOMME" MILITARY MEDAL & 1914-15 Trio, with QSA & RARE EDVII 2/ N.STAFFS "VOLUNTEERS" L.S.G.C. & 6/N, STAFFS T.F.E.M. To: Pte-Sgt-WO2 850. W.A. JOHNSON. 1/6th North Staffs Regt T.F. 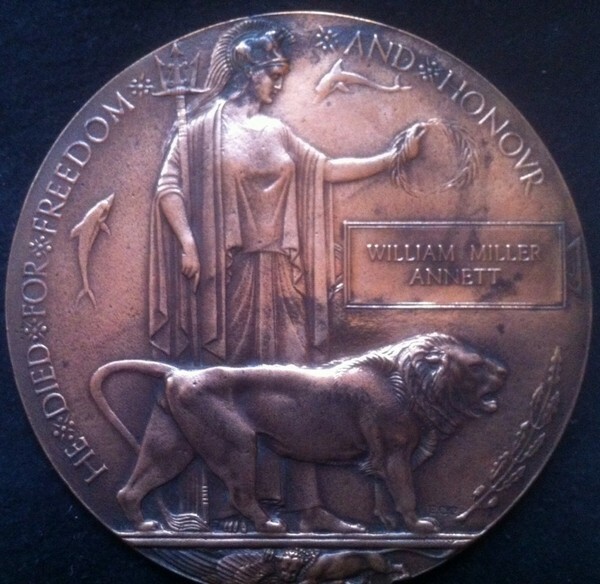 A SUPERB 1st JULY 1916 "FIRST DAY OF THE SOMME" MILITARY CROSS & 2nd AWARD BAR (Battle of Messiness) FOUR TIMES M.I.D To.T/ Capt) William Crossley Wale. 8th Yorks & Lancs Regt. attd: 70th (Light) Trench Mortar Battery. 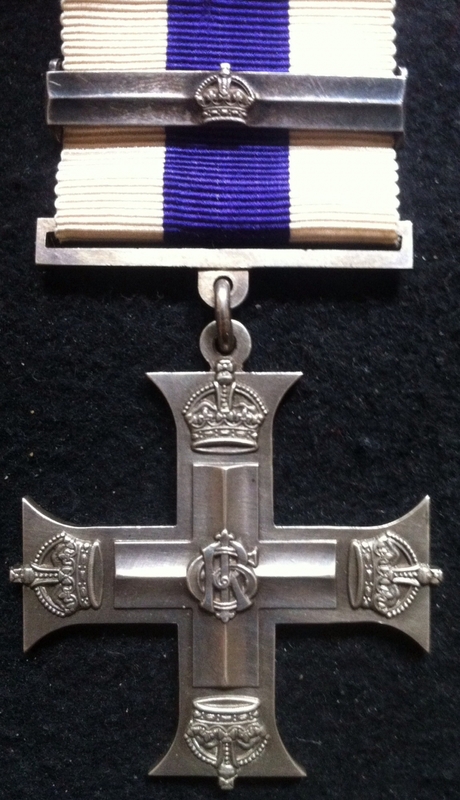 AN HISTORICALLY IMPORTANT & GREATLY DESIRABLE, 1st JULY 1916 "FIRST DAY OF THE SOMME" MILITARY CROSS & 2nd AWARD BAR (Battle of Messiness) FOUR TIMES M.I.D To.T/ Capt) William Crossley Wale. 8th Yorks & Lancs Regt. attd: 70th (Light) Trench Mortar Battery. A RARE & HISTORICALLY IMPORTANT SELECTION OF DEATH PLAQUES...ALL FIRST DAY OF THE SOMME. 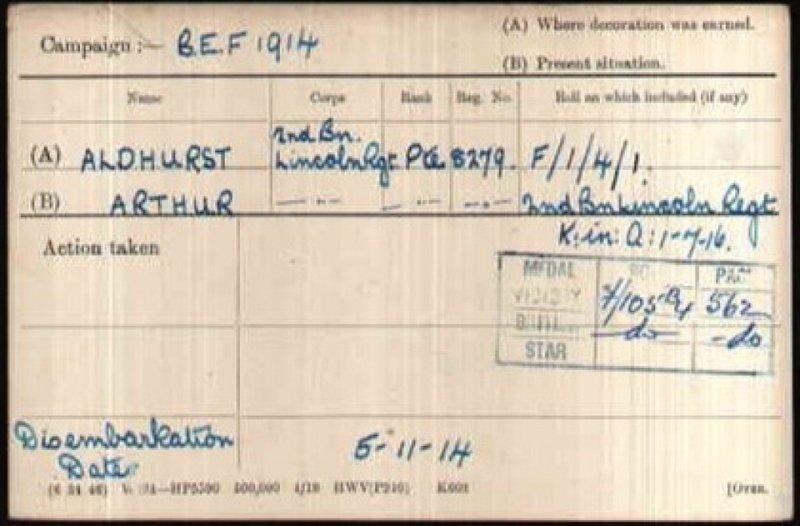 1st JULY 1916 (All Unique Names bar one.) Some important items. A RARE & HISTORICALLY IMPORTANT SELECTION OF DEATH PLAQUES...ALL FIRST DAY OF THE SOMME. 1st JULY 1916 CASUALTIES. (All Unique Names bar one ).Some important items. A HIGHLY DESIRABLE "1st Day of The Somme" 1914-15 Star "MANCHESTER PALS" Casualty Trio.19390. Pte. J. GERAGHTY. 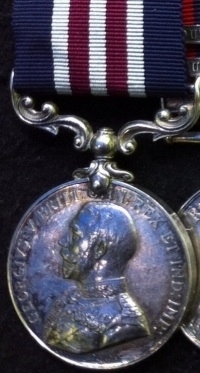 (6th City Pals) 21/Bn MANCHESTER REGT / "D" Coy / 15th Plt. KILLED IN ACTION 1st JULY 1916. MAMETZ . 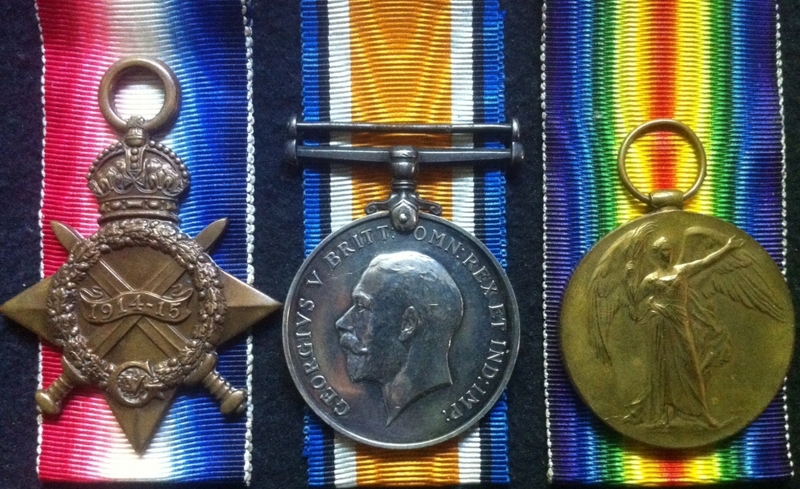 A HIGHLY DESIRABLE "1st Day of The Somme" 1914-15 Star "MANCHESTER PALS" Casualty Trio. To: 19390. Pte. J. GERAGHTY. 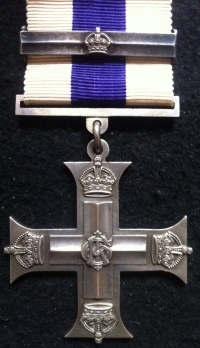 (6th City Pals) 21st Bn MANCHESTER REGT / "D" Coy / 15th Plt. KILLED IN ACTION 1st JULY 1916 at MAMETZ . A GREATLY DESIRABLE "1st Day, Battle of The Somme" (HEIDENKOPF REDOUBT) "Quadrilateral" 1st July 1916 Casualty 1914-15 Trio To: 305796. 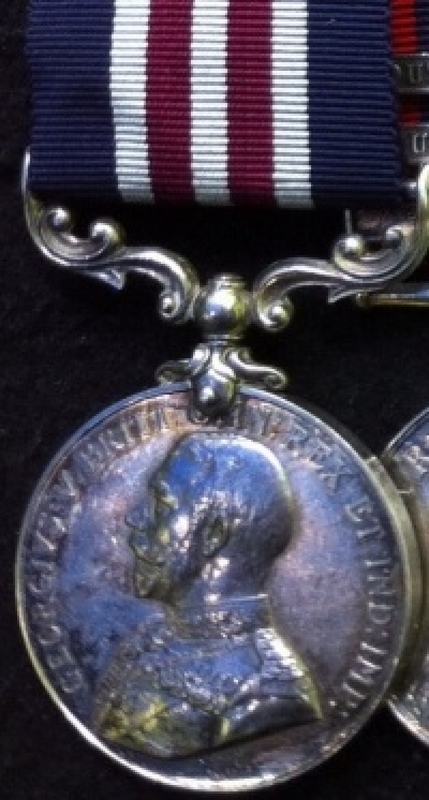 Pte Albert Thompson 1/8th ROYAL WARWICKS REGT. From Aston,Birmingham. A GREATLY DESIRABLE "1st Day, Battle of The Somme (HEIDENKOPF REDOUBT) "Quadrilateral" 1st July 1916 Casualty 1914-15 Trio To: 305796. 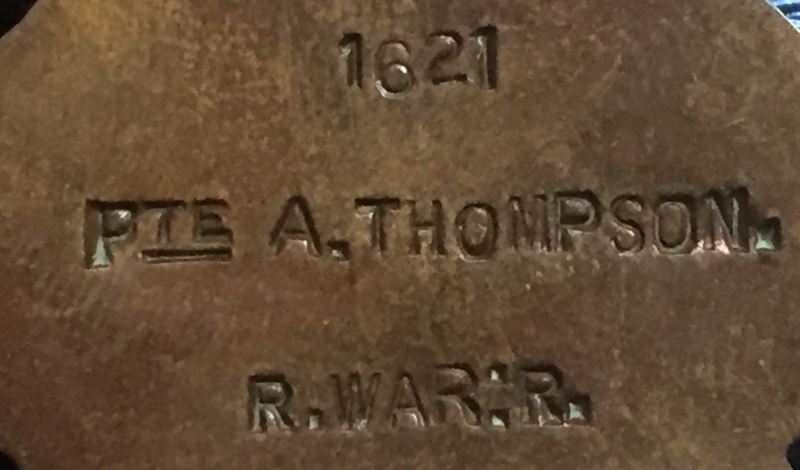 Pte Albert Thompson 1/8th ROYAL WARWICKSHIRE REGT. From Aston,Birmingham. 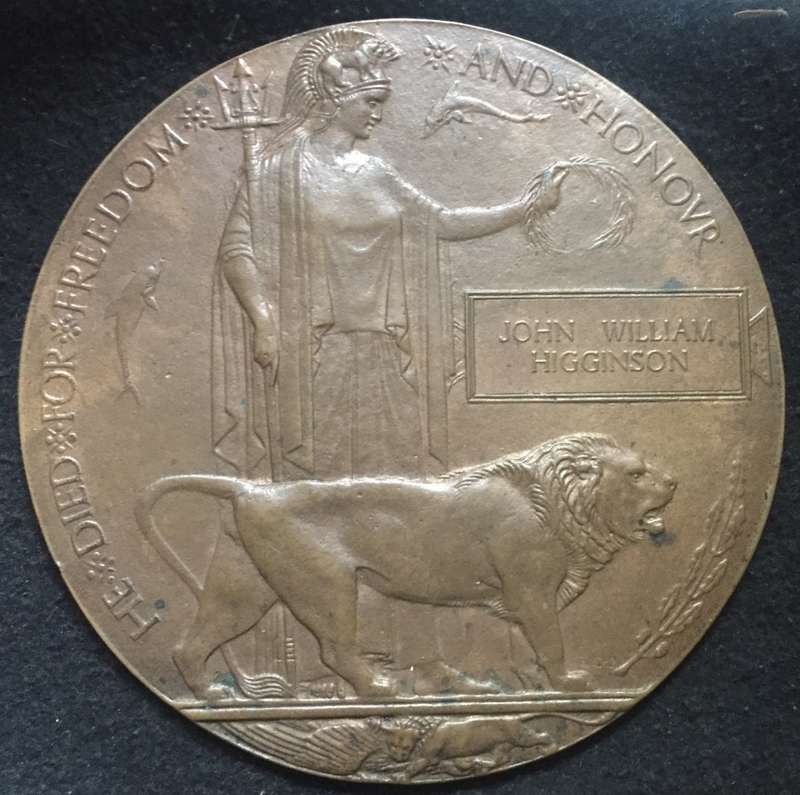 A GREATLY DESIRABLE "1st Day, Battle of The Somme" (Beamont Hamel) 1st July 1916 Casualty.1914-15 Trio & Plaque.To:18629.Pte JOHN WILLIAM HIGGINSON. 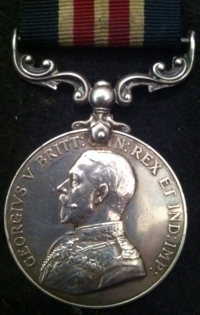 1st Bn EAST LANCASHIRE REGT. From Clayton-le-Moors. A GREATLY DESIRABLE "1st Day, Battle of The Somme" (Beamont Hamel) 1st July 1916 Casualty.1914-15 Trio & Plaque.To:18629.Pte JOHN WILLIAM HIGGINSON. 1st Bn EAST LANCASHIRE REGT. A Single MILITARY MEDAL (1st Day of The Somme ) To: 17180 L/Cpl Arthur J Hill. 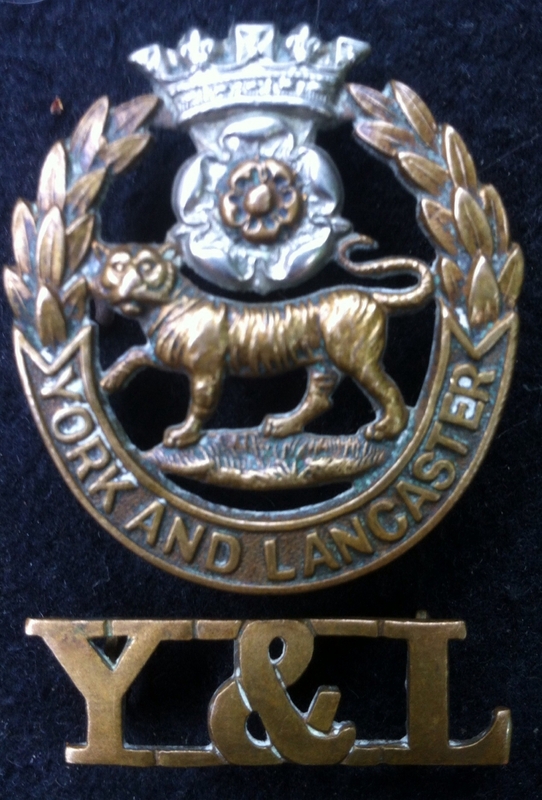 9th York & Lancs Regt. Wounded 1st July 1916 & Fatally Wounded on 8th March 1917. DIED OF WOUNDS on 15th March 1917. Buried Sheffield. 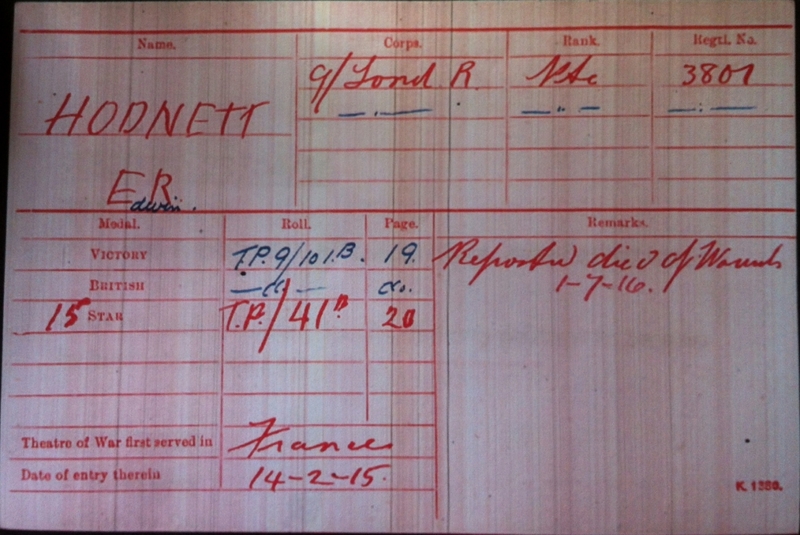 AN UNUSUAL 1st DAY of THE SOMME 1914-15 CASUALTY TRIO. To: 3801 Rfmn E.R. 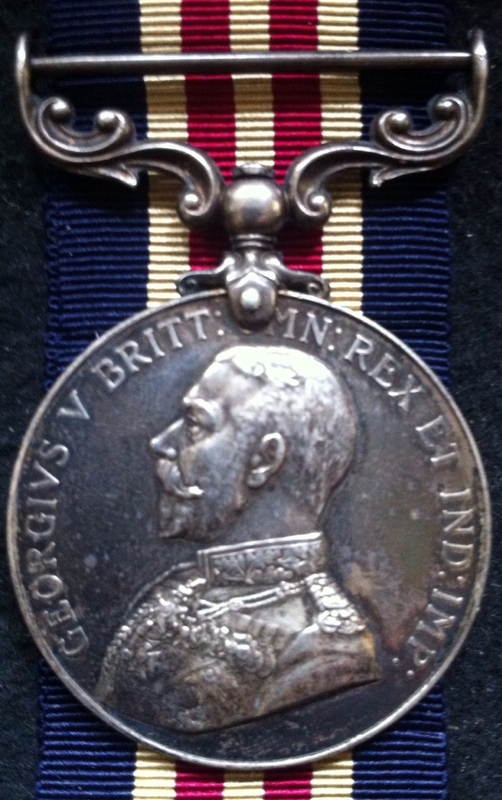 HODNETT 1st/9th LONDON Regt (QUEEN VICTORIA'S RIFLES). 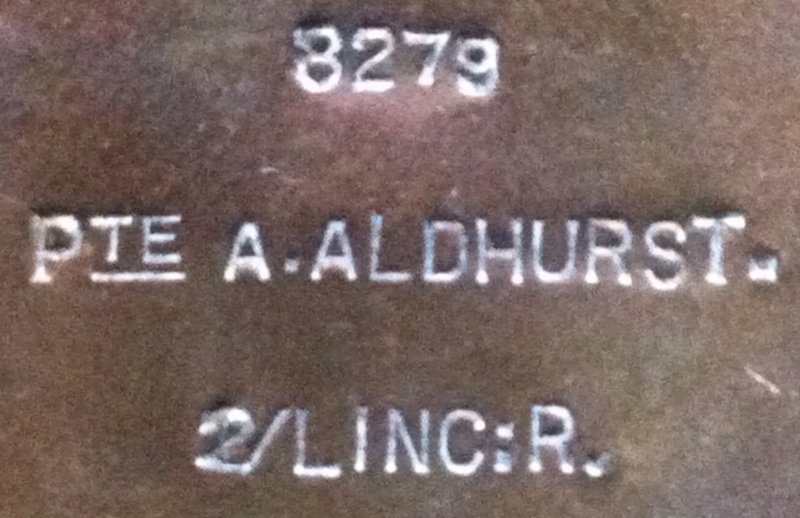 Died of Wounds / Killed in Action 1st July. No known grave. 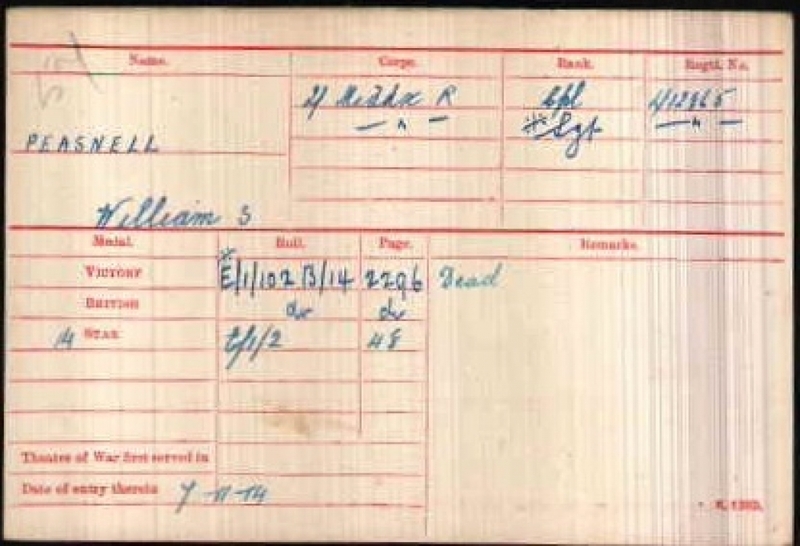 AN UNUSUAL 1st DAY of THE SOMME 1914-1915 CASUALTY TRIO. To: 3801 Rfmn E.R. 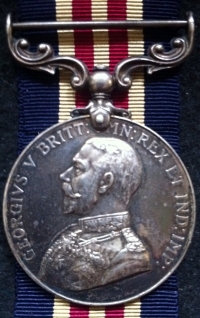 HODNETT 1st/9th LONDON Rgt (QUEEN VICTORIA'S RIFLES). 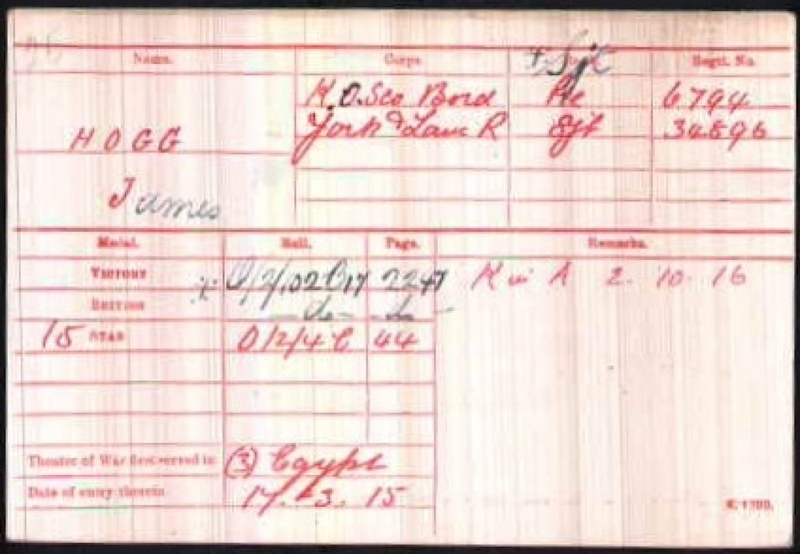 Died of Wounds or Killed in Action 1st July 1916. No known grave.